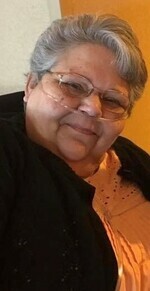 Nancy Lee (Acree) Lyons, 62, of Martinsburg, passed away on Sunday, November 18, 2018, at the Hospice of the Panhandle Inpatient Facility in Kearneysville, WV. Born on September 8, 1956, in Martinsburg. She was the daughter of Mary Lee and Benjamin Franklin Banks, and John Henry Acree. Nancy was member of St. Leo Roman Catholic Church and the Catholic Daughter’s of America. She retired from Susquehanna Bank; however, she started her career in banking at Citizen’s National Bank, One Valley Bank, and BB&T. She was also employed by the Berkeley County Sheriff’s Tax Office. She was a hardworking and loving mother to her three children. She was a devoted sister and friend. A second mother to her children’s friends. But her real joy came when she became a grandmother. She is survived by daughter, Jennifer Lee (Lyons) Painter, son Christopher Paul Lyons and daughter-in-love, Charlotte Lynn, and son John Daniel Lyons and daughter-in-love, Brandyce Ann. Her adopted daughter, Christina Lynn Hollis and son-in-love, Matthew Aaron. Her grandchildren, Justyce Paula and Ethan Christopher Knotts, Kimberly Ann, Ashton William and Kristen Nicole Hollis, Chance Thomas Park, Rylee Paige and Callan Christopher Lyons, and Camden Daniel Lyons. Her brother Dr. J. Thomas Acree, sister Kelsey J. Banks, her best friends R. Kimberly Guesford, Pam Sherrard, and Linda Cornett, as well as, her extend family and bonus children, grandchildren, and family. In addition to her parents she is preceded in death by her brothers James Acree and Paul Banks, and best friend Janet Cromis. Services and interment will be private. A celebration of life will be held at a later date. Arrangements by Brown’s Funeral Home.